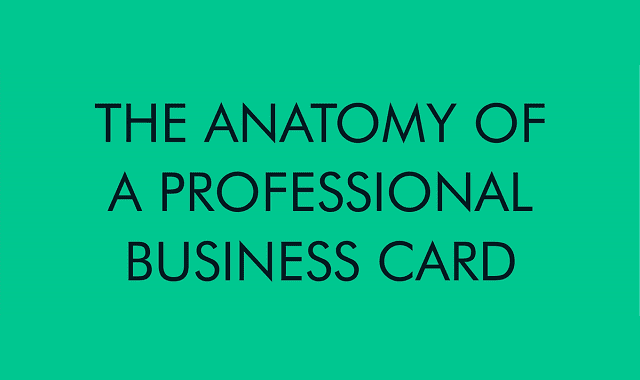 The Anatomy of a Professional Business Card #Infographic ~ Visualistan '+g+"
Picture this: You’re flying to a different city to visit some friends. You sit next to a friendly guy, and the two of you start talking. It turns out you’re from neighboring towns. He mentions he’s starting a new business venture and is looking for a consultant with your skillset. How do you exchange contact information? You hand him a crisp, professional business card. Business cards are such a marketing staple that 57% of people feel that having one is essential to their business. When you create yours, be sure to include the right information, keep it on brand, and use an attractive design. Read on for more tips on how to make a great business card. With these elements, you'll make a great first impression with attractive, professional business cards.